You are here: Home » Kitchen » Countertops » Custom Kitchens Brings JThompson Tops to the Outer Banks! We take pride in the high quality and durable products we offer, so we’re proud to announce that Custom Kitchens has partnered up with the foremost authority of solid wood custom countertops in the southeast, JThompson Tops, Inc. Located in North Carolina, JThompson Tops, Inc. has specialized in countertops, island tops, vanity tops, and table tops for more than 27 years, and all of their products are made in America. JThompson Tops, Inc. makes fully custom countertops for kitchens, vanities, bars, islands, and anything else you can imagine. They can even build you a custom table top to seat as many people as you want. 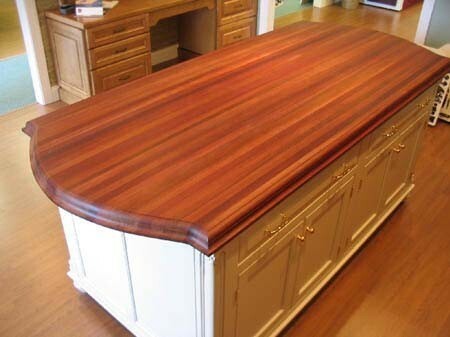 JThompson Tops, Inc builds and designs beautiful tops that are both functional and decorative. It’s the perfect accent for your beach home! Many different types of wood to choose from. Been building tops for over 25 years. JThompson Tops, Inc is the perfect match to our already impressive line of quality products. They’re products are of the highest quality, and for those who are looking for something elegant in their home, it’s hard to get any better than this. Come by our showroom and see how JThompson Tops, Inc can help make your kitchen renovation on the Outer Banks perfect!